This article will discuss some aspects of quantum computing, but - don't worry - we're not going to detail out all of the different uses in one initial education. It’s not going to describe the workings of quantum and we shall avoid using words like qubits as much as possible, we won’t mention quantum supremacy or the theory of quantum entanglement. If you want to know about these things, buy an undergraduate quantum physics textbook and then explore a decent quantum computing book like “Quantum Computing: A Gentle Introduction” by Eleanor Rieffel and Wolfgang Polak. Which we are lead to believe is only gentle to those with a good undergraduate understanding of maths and physics. Although in a review, Physics Today described it as a masterpiece. But for you blockchain followers, we're sure you can quickly redefine your talktrack to wax lyrical about Quantum for your next Ted Talk. The difference between quantum and traditional computing is at an eye-wateringly fundamental level. And this requires the knowledge we mention above to have a fighting chance to understand what it is. But is something every business leader needs to at least know about, even if it is just to be able to ignore with confidence. 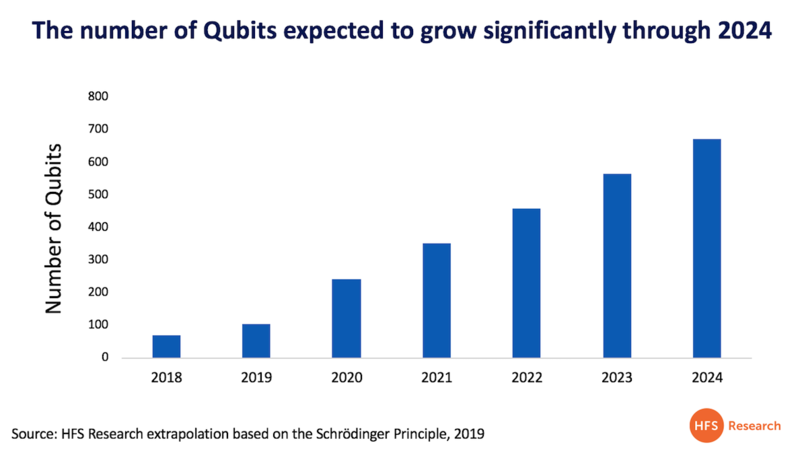 This is because quantum computing is potentially a disruptor with as big an impact as digital computing. And it is not an exaggeration that it can be used to simulate the very fabric of the universe. However, the question still remains: Is practical quantum computing still just a theory, or an impractical experiment with any stable use decades away? Or is it potentially just around the corner poised to disrupt the very core of encryption technologies? Particularly given the (not passing) resemblance to other over-hyped transformative technologies like nuclear fusion and room temperature superconductors. All dreamt up in the golden age after the second world war and without a tangible end-point, with the seemingly constant promise of a miraculous breakthrough in spite of massive investment. Which seems particularly relevant given that current quantum computers need superconductors, and the insane supercooling that currently goes with them, to operate. Making them, to many, expensive, impractical flights of fancy; fuelled by journalist research hyperbole. So, with that said, is that all you need to know? Your job is just to laugh in the face of any minion that utters the phrase “maybe we should invest in some quantum?” Unfortunately, it is not that simple. The trouble is no one really knows the actual timeframe, even John Preskill, the Richard P. Feynman Professor of Theoretical Physics at CalTech, can’t give you a firm time-frame. With predictions ranging from single to multiple decades and the current wave of “noisy” quantum experiments unlikely to have much practical use. However, this uncertainty needs to be weighed against the serious risk. The development of a practical or at least partially practical quantum computer could have dire consequences for traditional encryption. Part of the excitement around the prospect of Quantum computing is the first real application – the first algorithm set to run using a quantum computer could solve the mathematical factoring equation very quickly. This can be used to break existing methods of encryption like RSA and ECC rapidly. So any organizations that use encryption technology need to understand that there is a potential weakness in current systems, which will need to be replaced or strengthened when practical quantum is available. And recent experiments from Google and IBM have started to erode confidence in the long term predictions and have started to bring forward the prediction from decades to years. With both these firms recent experiments showing that quantum is starting to conform to Moores law. Which, if true, means we will have Crypto breaking quantum in 2 years rather than 20. As quickly as 2021, HFS researchers believe we could see a quantum computer capable of breaking RSA encryption of 256 Bits – which would have serious implications for blockchain, given this is the level of encryption currently used. According to HFS academy analyst Duncan Matthews-Moore, "If we don't get a handle on the potential speed of quantum soon, we could see the billions of dollars that have gone into blockchain become as quickly wasted as the vast sums Brexit is costing the UK economy." 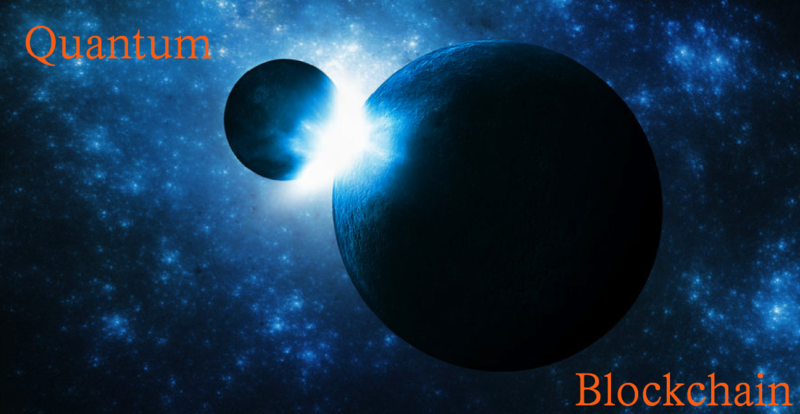 Bottom Line – Quantum is the one to watch, particularly if you have any ambitions around blockchain. Forget RPA, forget AI, forget cloud, forget disruptive mortgage processing - and especially forget blockchain. Because if quantum can delivery real algos, everything tech that happened before is going to be disrupted like Betamax, like CB radio, like Sonic the Hedgehog. April Fool? Not so sure it's that far from the truth!